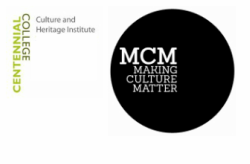 Making Culture Matter held its second annual Guest Speaker Series during Fridays in March and April 2013. We would like to thank Montgomery’s Inn for hosting us. The series focused on pressing issues facing the arts, culture and heritage industry and features presentations and discussions with professionals and practitioners.